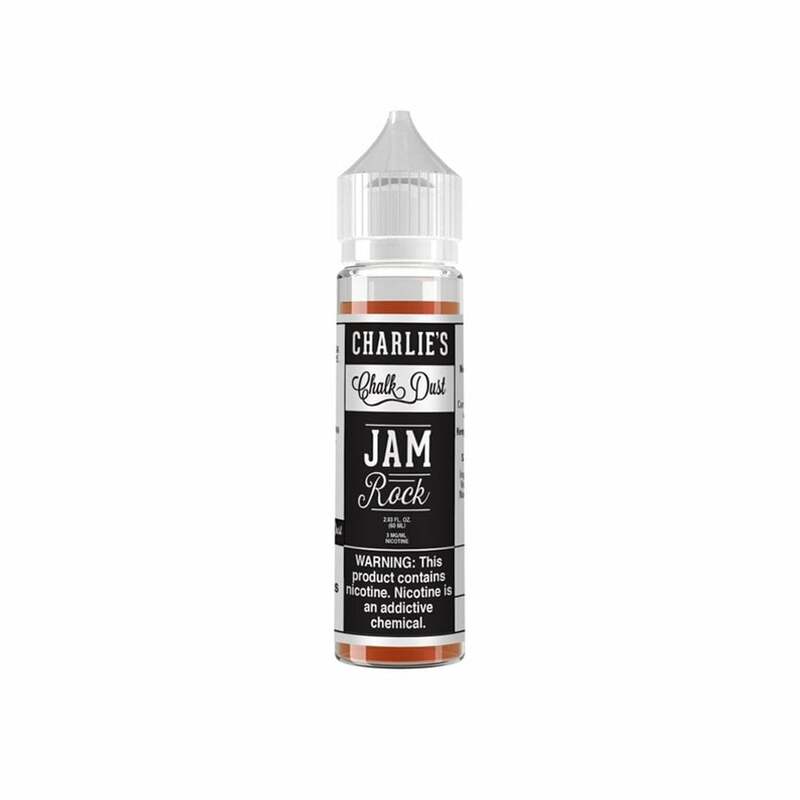 Charlie's Chalk Dust is known for its delicious vape juices and Jam Rock is no exception! Enjoy the taste of sour green apple candy as you've never tasted it before in this mouth-watering juice that's the perfect cross between tart green apple and sweet candy. Charlie's Chalk Dust is available in 6mg (0.6% nicotine), 3mg (0.3% nicotine), and 0mg (nicotine free) and is compatible with your favorite sub-ohm device. Very, very sweet. Was hoping more Tarty Apple flavors. Almost. But not quite. Not my all day vape but it goes excellent when mixed with Charlie Chalks Very Berry, Wonderwom And Fuji Apple Nextarine. I don’t reallu care for vaping by itself. Taste much better with other fluids.